This has been a long delayed post, simply because the past couple of weeks have been… interesting, to say the least. In the previous post in this series, we looked at the TOP FIVE FIBA Asia Shooting Guards. These are the players usually tasked to take the open trey (and drain it) and generally help spread the floor. Sometimes, these SGs also function as supplementary playmakers. In this post, however, we will focus our attention on the primary playmakers – the best ones that is – in our corner of this big blue planet. We will look at a position that pretty much dictates the tempo of a game – a position on which the fortunes of a team usually hinge. point guards in the continent. 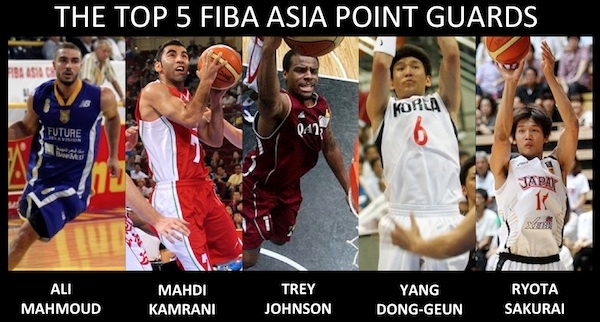 The Top 5 FIBA Asia PGs. Strengths: Mahmoud has been on the wish list of practically every coach who has steered the Lebanese NT in the past few years, but a slew of injuries just made it tough for him to compete. Not this time, though, as he’s dead set on getting back in the FIBA Asia game. His reliable perimeter shooting should open up opposing defenses and make it even easier for him to make plays for the many scorers of the Cedars. He’s also not too shabby in terms of on-ball D, which is considered one of his specialties in the FLB. Weaknesses: Perhaps because his team doesn’t need him to score in bunches, Mahmoud isn’t the take-over-scorer other guys on this list can be. He is also not exactly the most reliable free throw shooter, and his 4-year hiatus from any FIBA Asia tourney might give him a considerable period of adjustment. Strengths: Kamrani has been Iran’s quintessential and great all-around PG in terms of scoring, playmaking, and defense ever since they made that historic title run in 2007. In fact, he just might be the best pure PG in Asia right now. His great upper body strength helps him take lots of contact when he penetrates, and his great vision enables him to become a threat in terms of making plays for Iran’s many weapons. Weaknesses: In truth, Kamrani hardly has any weaknesses, save, perhaps, for his size. If one will force the issue, however, then maybe he is a little inconsistent from the perimeter and from the line. Also, he’s not exactly the most cool-headed dude you’ll meet on the hardwood. He tends to really blow it when his teammates muff easy shots or fail to get him the ball to start plays. Strengths: Johnson is probably the closest FIBA Asia will get to a Dwyane Wade type of player. At least at this level, he is perhaps the most explosive and agro scorer at this position. He has great size for a combo-guard, not to mention a high level of athleticism. I remember him making life really tough for the Pinoys in the 2012 FIBA Asia Cup battle for third place, where he scored 16 points and dished out 4 dimes. He’s a pretty good facilitator when he needs to be, and his rebounding numbers are great, considering he’s a guard. Weaknesses: Johnson is really the kind of player who likes to break down the defense and make a beeline to the basket because he knows he is inconsistent from beyond the arc (25% during the FIBA Asia Cup). He is also quite prone to fouls (2.7 per game in Italy) and turnovers (3.7 per game in Italy and 2.8 in the 2012 FIBA Asia Cup). Strengths: Based on his skill set and his demeanor, Yang should remind Pinoy hoop nuts of someone like Jimmy Alapag. Like our very own Mighty Mouse, Yang is a prototypical pass-first point guard, but, also like Jimmy, Yang can take over a game if he needs to. That’s exactly what he did against Lebanon in 2011, when he dropped 20 points, had 7 assists, and got 5 steals. He’s a great all-around playmaker and good defender. He takes good care of the ball and is very efficient on offense – a truly dangerous point guard. Weaknesses: As dangerous as Yang is from practically anywhere, his three-point percentage isn’t very high (36% in the KBL and 38% in the 2011 tourney). He is also prone to committing silly reach-in fouls, and, well, at 32 years old, this might be his last FIBA Asia tournament. Younger talented Korean PGs are waiting in the wings, like Park Chan-Hee, Kim Sun-Hyung, and Kim Tae-Sool. Strengths: If Yang is SK’s Jimmy Alapag, then perhaps Ryota Sakurai is Japan’s version of Gabe Norwood. He really has the potential to create a slew of match-up problems because of his great size at the PG spot. 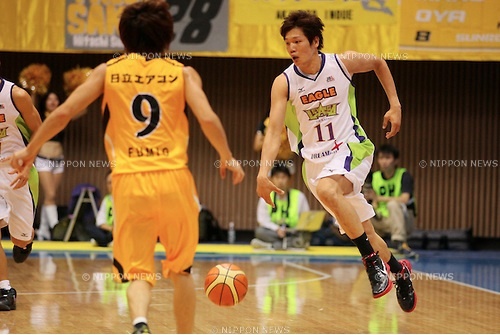 Combining that with his athleticism makes Sakurai as dangerous a playmaker as they come. In the 2012 FIBA Asia Cup, Sakurai showed marked improvement in his playmaking and, despite matching up with smaller and quicker foes, he displayed respectable defense. All this while playing PG practically for the first time in his FIBA Asia career. His past two trips with the Japan NT in 2007 and 2009 saw him as a back-up to the likes of Takuya Kawamura, Tomoo Amino, and timeless ace sniper Takehiko Orimo. Weaknesses: All his merits aside, Sakurai is far from being a world-beater. His outside shot is inconsistent at best, and, like Yang, he is prone to fouls (3.3 per game in the JBL). He’s also clearly still adjusting to being a primary playmaker, norming nearly 3 turnovers per game for Levanga Hokkaido. has yielded promising results for the Nippon five. Even in the international game, the traditional point guard has seemingly been replaced by “hybrids” like Johnson and Sakurai. Our very own Gilas Pilipinas pool can boast of a couple of these “multi-positional players,” but, by and large, the small and speedy playmakers like Mahmoud, Kamrani and Yang still thrive in these parts. Sam Daghlas (Jordan) -- He publicly expressed his retirement from the Jordan NT. He might return, of course, but, for now, I'm not expecting him to show up in Manila anytime soon. Liu Wei (China) -- Now this guy won't play anymore for sure. His spot will probably be taken up by either Guo Ailun or Chen Jianghua. Ryan Reyes is a combo guard -- can be both SG and PG. In the FIBA Asia, he'll probably play PG more. He's a close 6th in my book. I would have placed him behind jason castro because of his athleticism and body physique(tama ba spelling?) but the problem is, is he eligible since he was raised in the US..? Any idea? a very good read. though statistically, in the pros, Sol Mercado is the most impressive. and in recent games, his stats really speak of his skills. he went fiery against ginebra, and you could observe him stepping up his passing game up. His highlights AND stats in these recent games make pt guards in the Gilas 17 (and other starting points in other teams) blush. As much as his eligibility issues are a concern, he should really be considered a top tier among pt guards in Philippines, and his omission in the 17 pool shouldn't prevent him from establishing his name in the most elite pt guards. 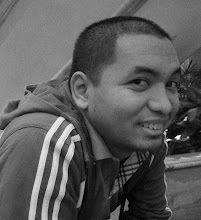 Anonymous 1: Ryan Reyes is eligible because I think he was born here. He's a solid PG, but I'm iffy about the fact he hasn't had any FIBA Asia experience yet. Same thing is true for Castro, but I think Castro has more tools Gilas can use to hurt the opposition. Anonymous 2: Man, Sol really is a stat-stuffer. He was effective for Gilas in the 2012 Jones Cup, too, but, unfortunately, he just isn't eligible for FIBA Asia. That's one of the things I used to qualify this set of Top 5 PGs. If there's no chance a guy will play in August, then he's overlooked. Sayang lang, kasi magaling talaga si Sol. All in all, picking just five PGs, or SGs for that matter is really tough, since there are just so many great local talents in those positions.